The school year beginning means different things to different people, but no matter what, it affects the conditions of the roads. We are now into the month of September, and as a result, most schools are back in session. For many parents, this is a bittersweet moment where their kids separate from them again. For others, they are rejoicing in getting more time to themselves. Regardless of how you feel, or if you’re a parent at all, school starting again comes with certain driving complications. To avoid car accidents, it is in your best interest to follow these safety guidelines. If you are the parent of a school-aged child, you are probably going to do a lot of picking up and dropping off. When you do, make sure you follow the guidelines set out by your child’s school. If there is a particular area or lane you need to be in, adhere to that rule. Not only will this lessen your chance of receiving a citation, but it will make everyone safer. While some parents will pick up and drop off responsibly, others will not. Instead, they will often suddenly stop in the middle of the road. If you are driving behind them, you will need to apply your brakes quickly in order to avoid a rear-end collision. This is true of high schools too, as teen drivers frequently make erratic maneuvers on the road. Depending on your area of St. Louis, there could be a significant amount of kids that bike to school. If you aren’t careful you could end up being responsible for a bike accident. Bikers are dangerous enough on their own, but when they are school-aged, they are even more of a hazard. As you navigate the roads, you should check your blind spots for bikes before making any moves. Driving with buses can be very frustrating. Not only are they larger than most cars, but they stop more frequently than any other vehicle on the road. When you’re behind one, drive slowly and keep a considerable following distance. That way, when they suddenly stop, you are prepared to stop with them. 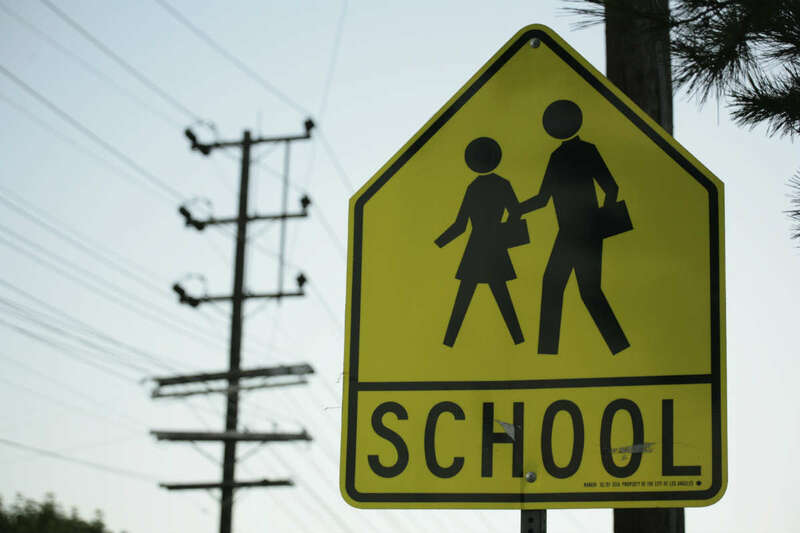 One thing that you are sure to see around schools is pedestrians. They will constantly be crossing streets, riding skateboards, and getting out of cars. The most disastrous accident you can get in around a school is with a pedestrian, so take extra care in avoiding them. One method that can safeguard you from all of the hazards around schools is simply driving slower. Doing so will give you more control over your car and allow you to make evasive maneuvers when necessary. This can be the difference between safety and a severe accident, so it is critical that you follow this guideline. The school year beginning means different things to different people, but no matter what, it affects the conditions of the roads. When you drive near schools for the next nine months, be mindful of the dangers that they present.